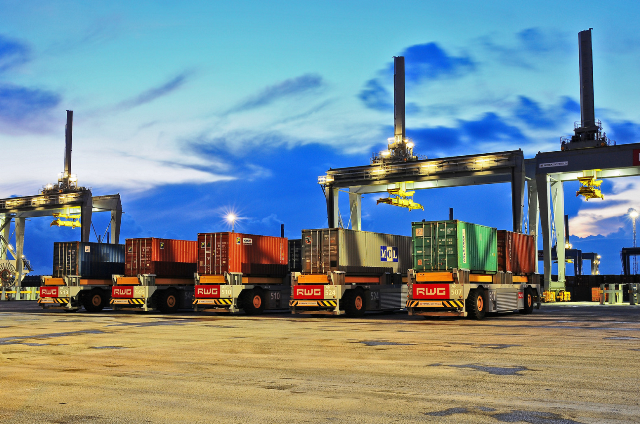 Rotterdam World Gateway (RWG) provides container storage and transshipment with maximum efficiency. Seamless access to Europe is what RWG stands for: seamless transit of containers from all over the world to consumers and businesses in Europe. And vice versa. Based in the global leading port of Rotterdam, RWG heavily relies on its IT Infrastructure. To be as efficient as possible, all of the deep sea quay cranes, barge cranes and stacking cranes are fully automated and controlled remotely by specialists in the office building. For internal transportation RWG uses fully automated guided vehicles. RWG sent out a request for proposal to a selected group of software asset management consulting firms to select a partner to help them. But Managed Services is more than making an inventory and looking at the results. Peter van Uden continuous: ‘Indeed. We are here to help and guide our customers. Based on the actual data we help customers optimize their IT environment. However, Software Asset Management is not only about technology but also about people and process, so we help with all aspects. At the technical side, the discovery of legacy applications, out of support software, vulnerabilities and many other aspects play an important role. By using the SAMLive! platform, we are able to help customers improve their IT security, make better use of resources and help them innovate alongside. It is a true partnership where customer and managed service provider work together.